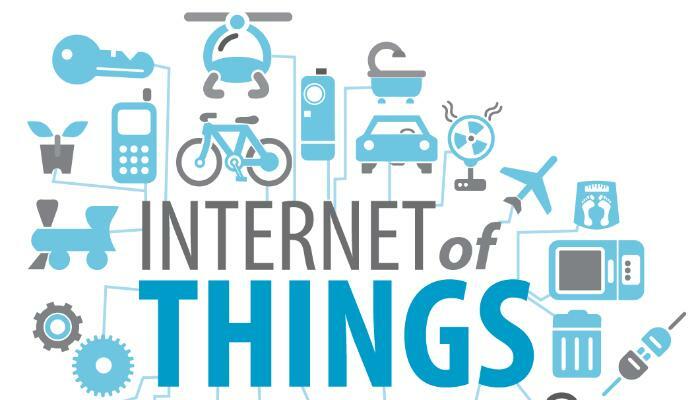 The widespread deployment of sensors, smartphones and internet connected devices has ushered in an era of big data and The Internet of Things. Even sheep, it seems, have a role to play in this emerging technology mega-trend. But where is the value in all of the data that is generated? and does that value actively engage consumers as willing participants in the new data economy? Here Bob O’Donnell, founder and chief analyst at TECHnalysis Research, LLC discusses the business challenges in extracting the value that is locked up in the IoT ecosystem. In the early days of building and selling tech products, life was relatively simple. You came up with a cool idea for something that you believed people or companies wanted to buy, you determined how much it would cost to build, you added in a profit margin, and you sold it. Easy. Over time, however, those simple business models have fallen by the wayside as companies have grown more sophisticated, routes to market have become more complicated, and larger sums of money have been at stake. Now you have things like carrier subsidies, retailer spiffs, market development funds (MDF), license and patent royalty fees, software bundling kickbacks, and a host of other elements that make it nearly impossible to decipher exactly where, by whom, and how much money is being made when a tech product is sold. As a result of these complications, it’s now common to find as much experimentation with business models in the tech world as there are experiments with new technologies. Nowhere do I expect to see more of this experimentation than in the burgeoning world of IoT, or the Internet of Things. The challenge for IoT makers , as well as the broadly defined IoT ecosystem, is to create strong value statements that will compel either individuals or businesses to buy them. One of the reasons that business models have become more complicated in the tech business is that it’s often increasingly hard to determine who brings the most value to the table. A fundamental tenet of business is that people will purchase something that they believe offers some kind of “value” to their life, whether that be as simple as sustenance (for food) or something as sophisticated as an always-connected information and entertainment device. In the case of IoT, it’s not always clear where and to whom the potential “value” belongs. Heck, even the name Internet of Things—who just buys “things”?—strongly suggests a lack of clearly defined value. The challenge for IoT makers, as well as the broadly defined IoT ecosystem, is to create strong value statements that will compel either individuals or businesses to buy them. For individuals, if people perceive something as somehow “improving” their life, then that may suffice. For businesses, it often boils down to basic dollars and cents—the classic ROI (return on investment) question. Will this device somehow save my company money, either directly, by lowering costs, or indirectly, by improving efficiency of existing resources, etc? Part of the challenge with IoT is that the devices themselves—which cover an enormous range of potential applications, but are essentially classified together by virtue of having some kind of sensors built into them—are often really only a means to an end. In most situations, they provide data that only has value if it’s been collected, organized, analyzed and made actionable. Now, in the era of the information economy, it’s easy to say that information inherently has value, but as many large organizations are starting to learn from big data projects—sometimes it really doesn’t have much (if any) value. Now, in the era of the information economy, it’s easy to say that information inherently has value, but as many large organizations are starting to learn from big data projects—sometimes it really doesn’t have much (if any) value. Even if the data generated by these connected IoT devices has value, however, it’s not always the person or company who deploys the device that directly benefits. One of the more interesting applications of IOT (and one of the few true early success stories involving consumers), is the use of devices built into cars that track how safely (or not) an individual is driving. Auto insurance companies are using this data to determine the insurance rates of their customers. So, basically, the auto insurance company gives you, the consumer, a device to install in your car, and your motivation to use it is to reduce your insurance payments. You don’t buy the device directly, but the business model is structured to incentivize the consumer to use it. For insurance companies, the expense of the sensors and the data service they use is justified to get a more accurate view of their customers’ potential risk. Very similar types of models are likely to be employed by health insurance providers as we start to see the release of more health-focused wearables. Some consumers have (and will) purchase these types of IOT devices, because they see direct value in them. However, I wouldn’t be surprised if we didn’t see wider adoption until people are incentivised with real dollar savings in their health insurance premiums to wear them. Of course, there are enormous privacy and security issues that also have to be addressed in these kinds of applications. Even presuming they are addressed (a big if), it seems clear to me that these kinds of complicated business models are going to limit the near-term impact of IoT technology may be ready, experiments with business models are likely to continue for some time to come. This article first appeared on linkedin Pulse and reproduced here with permission.